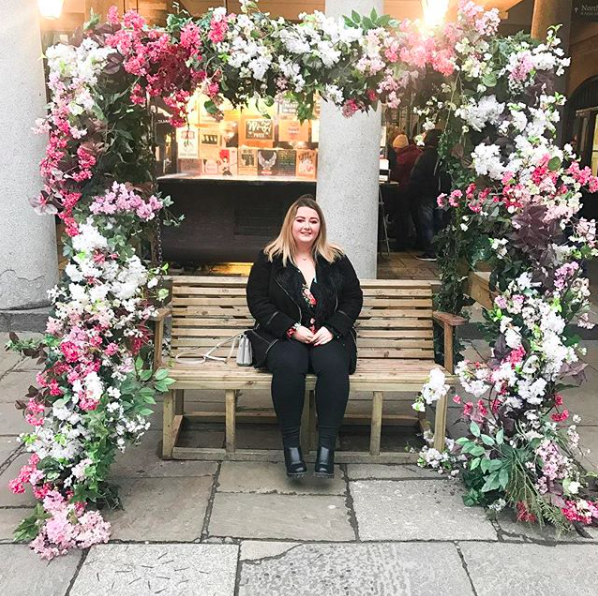 I was gifted a 3-course meal for myself and my family from the Harvester Favourites Evening Menu in exchange for a review. The Harvester is a staple favourite restaurant of mine ~ the salad bar offerings are great and their delicious home comfort meals are great, too. 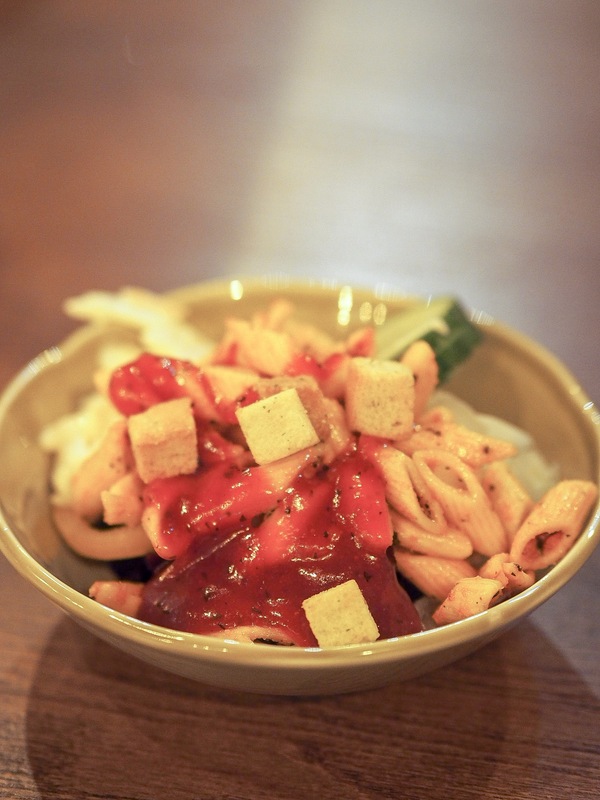 My Harvester go-to salad bar offering is a bit of everything, with a good helping of pasta, a huge drizzling of the Red Devil sauce (which I need to buy ASAP) and a scattering of croutons. Their main meals are delicious and comforting too, ranging from mixed grills and burgers to seafood dishes and ribs. 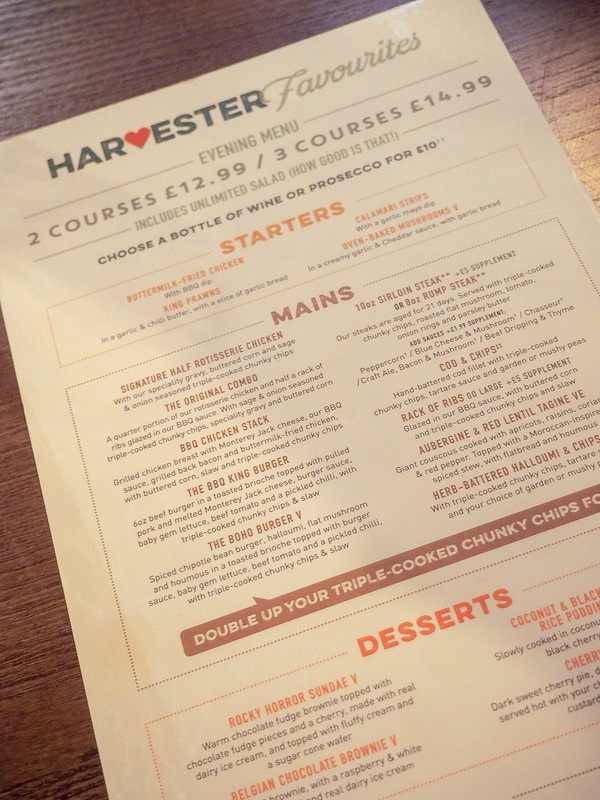 Although the Harvester is a fairly budget-friendly restaurant, they have recently introduced the Harvester Favourites Evening Menu range, where you can get two courses for £12.99 or 3 for £14.99; available every week Sunday to Friday. 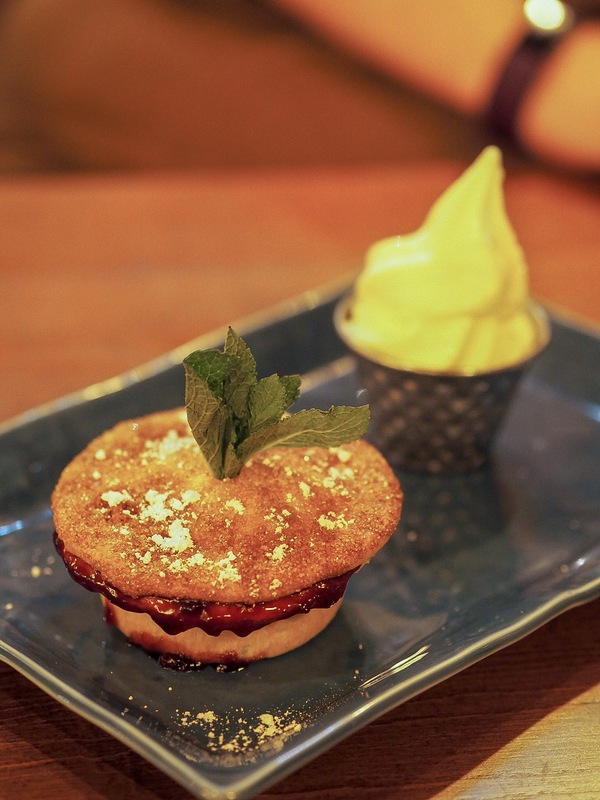 The Favourites Evening Menu offers lots of choices for dishes, and is a great way to enjoy eating out with friends and loved ones and to save yourself a few pennies! 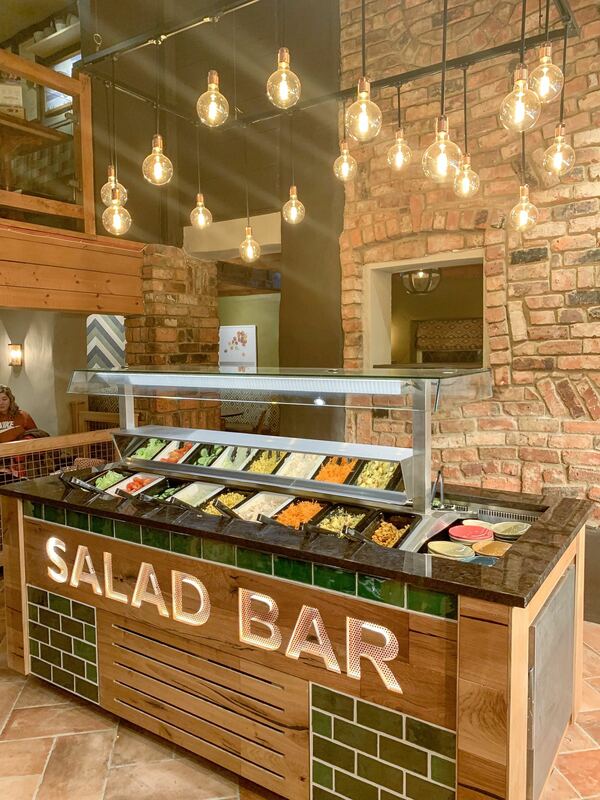 We hit the salad bar and then we checked out the Harvester Favourites menu to see what we’d like to order. 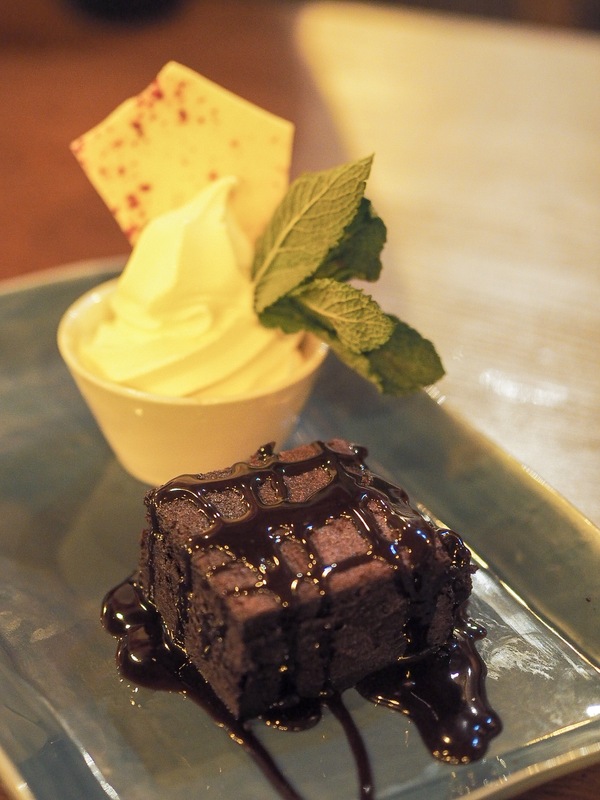 The Harvester Favourites menu has a great deal of dishes, including their best-loved ones from the main menu. 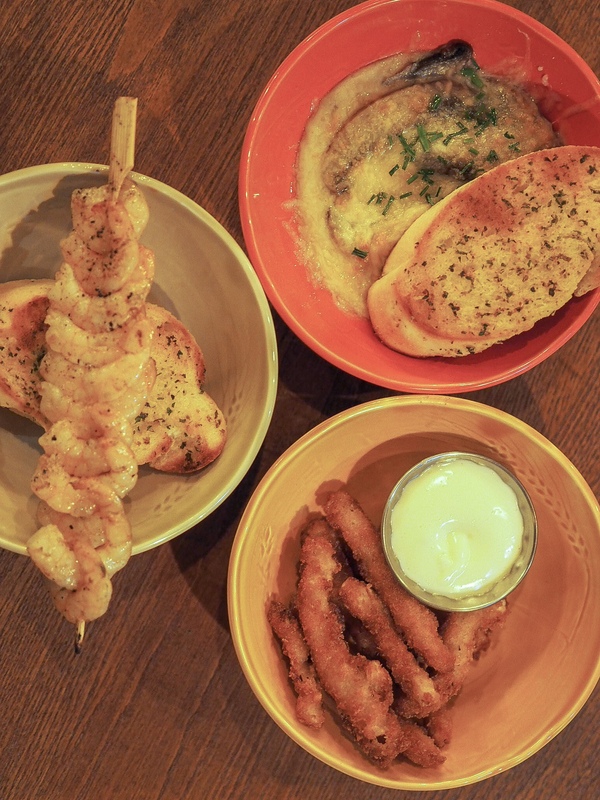 For starters, we ordered king prawns in a garlic & chilli butter sauce with a slice of garlic bread, calamari strips with a garlic mayo dip and oven-baked mushrooms in a creamy garlic & cheddar sauce with garlic bread. The prawns were juicy and garlicky, the calamari sticks had a lovely crispy coating and the baked mushrooms were nice and cheesy. I think I would have prefered button mushrooms for this starter as opposed to the large ones, but it still tasted good! We perused the menu for a little longer, before finally deciding on what we wanted to order for our mains. Dad ordered the Boho Burger, Mum ordered the BBQ King Burger and I went for the BBQ Chicken Stack. 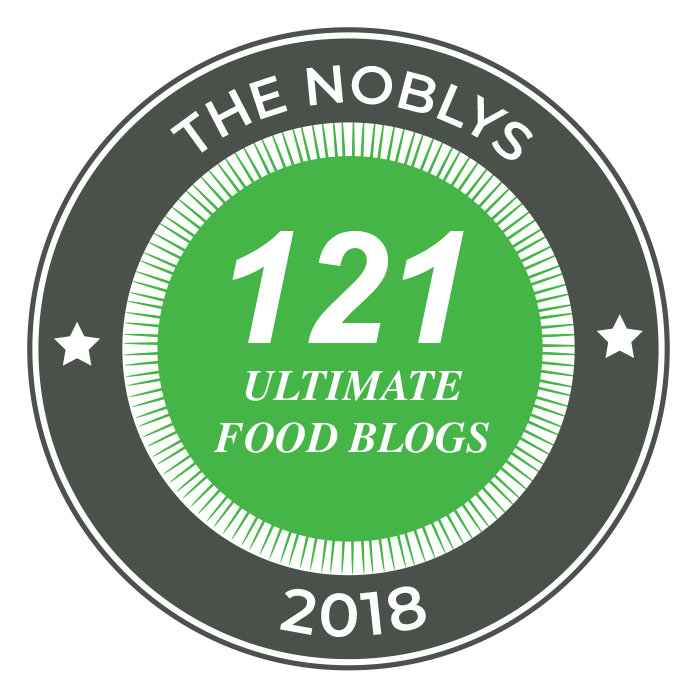 The Boho Burger is a spiced chipotle bean burger with a chunk of halloumi, mushroom and humous in a toasted brioche bun, topped with burger sauce, lettuce and a pickled chilli, served with triple-cooked chunky chips and slaw. 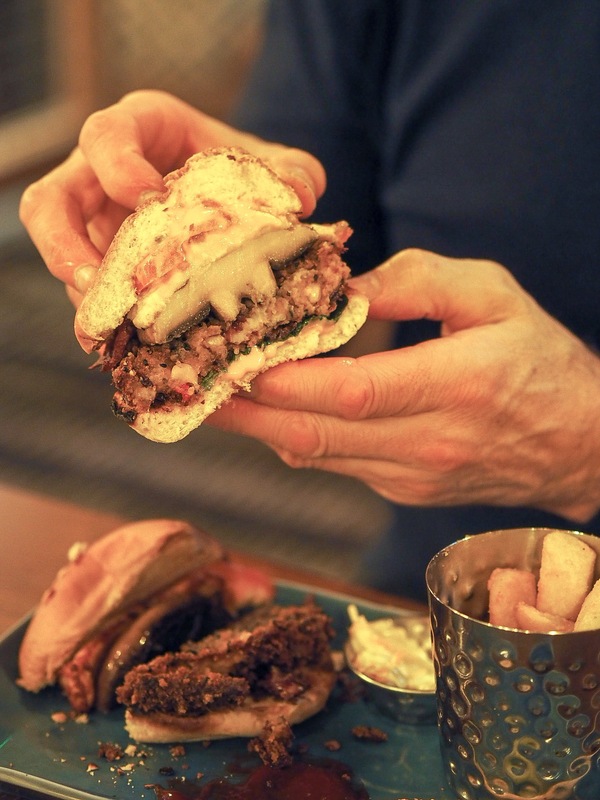 The burger was jam packed with textures and flavours, and Dad devoured this in no time at all! 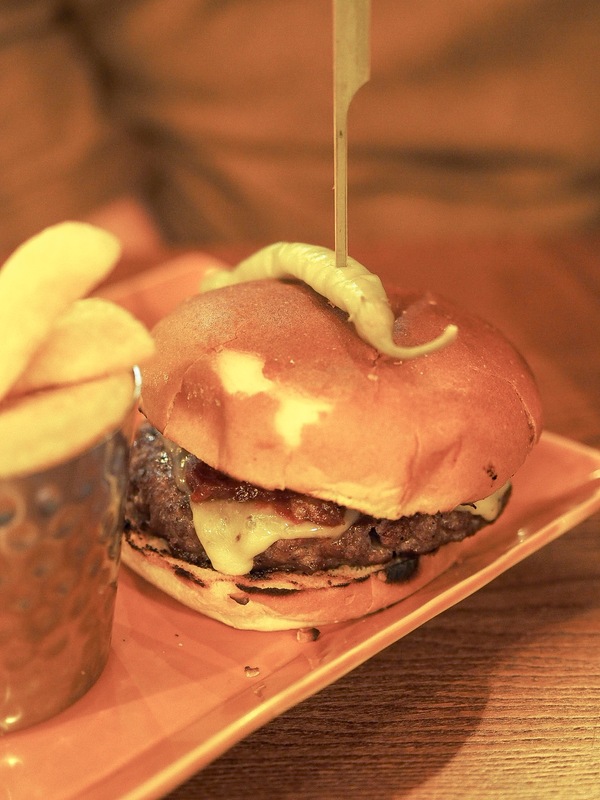 The BBQ King Burger is a 6oz beef burger in a toasted brioche bun, topped with pulled pork, melted cheese, burger sauce, lettuce, tomato and a pickled chilli, served with triple cooked chunky chips and slaw. Mum said the burger was juicy and cooked well, and the chips were lovely and crispy on the outside and fluffy inside. 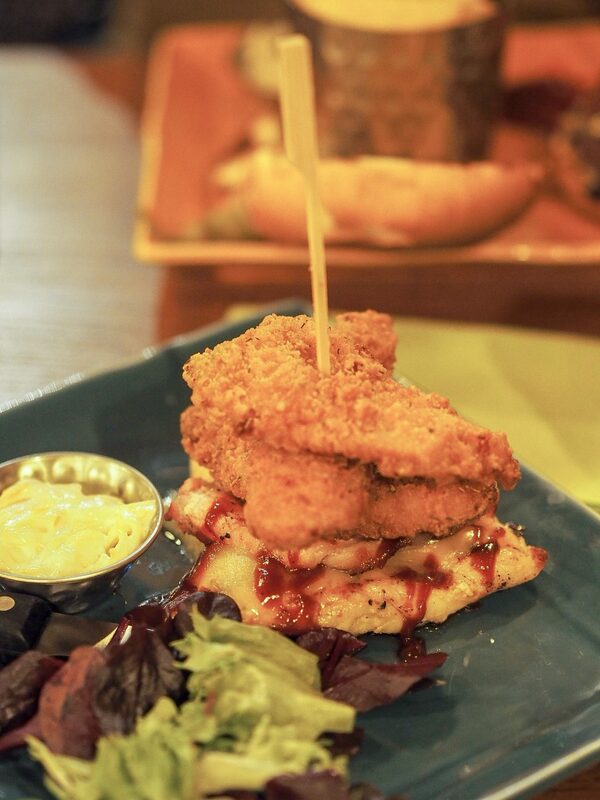 The BBQ Chicken Stack is a grilled chicken breast with cheese, BBQ sauce, grilled bacon and buttermilk-fried chicken strips, with corn, slaw and triple cooked chunky chips. I always order this when I go to the Harvester – I love the different chicken elements and Harvester’s BBQ sauce always tastes so nice and smokey! 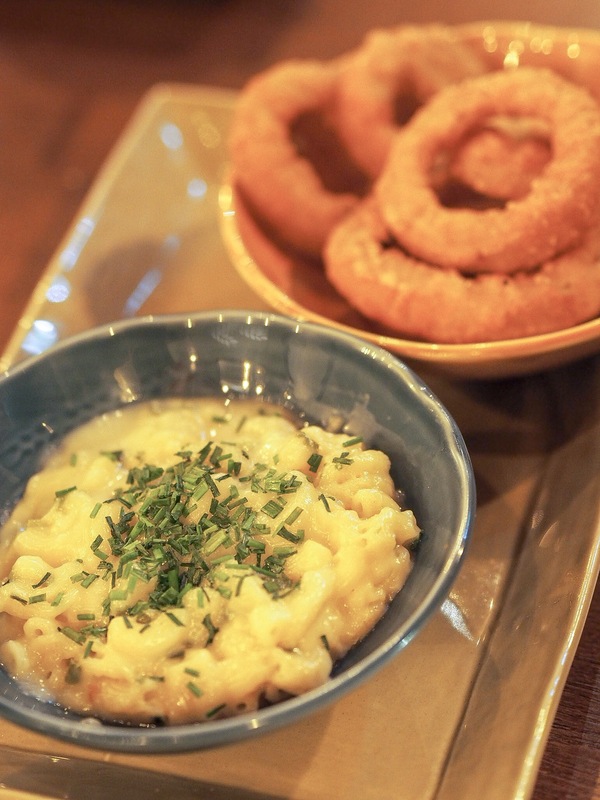 Dad LOVES ordering sides, so we also ordered onion rings and mac n’ cheese to share on the table. We had an absolute feast on our hands! The onion rings had a delicious crunchy coating with soft anon inside, and the mac n’ cheese was just the right amount of cheesy goodness. The portions were super generous – considering they’re from a set menu so you’d assume it would be a smaller option to the main menu. But even if you’re full, who can say no to dessert? Not us! Dad and I both ordered the Belgian Chocolate Brownie and Mum ordered the Cherry Pie. Brownies are my go-to dessert, and this brownie certainly didn’t disappoint. It was warm, gooey and super chocolatey, drizzled with even more chocolate on top that the vanilla ice cream soaked up well! Mum loved the cherry pie too, especially the buttery pastry and sweet cherry filling. 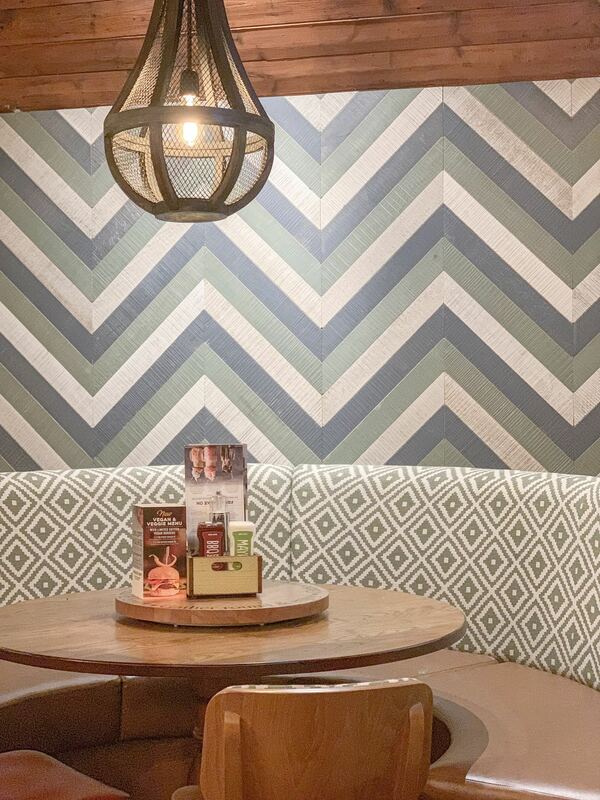 We visited the Epping Harvester branch, and it’s worth noting that their new decor and refurb is beautiful! Exposed industrial lighting, clean fresh toned colours and a real Mediterranean feel to the crockery. 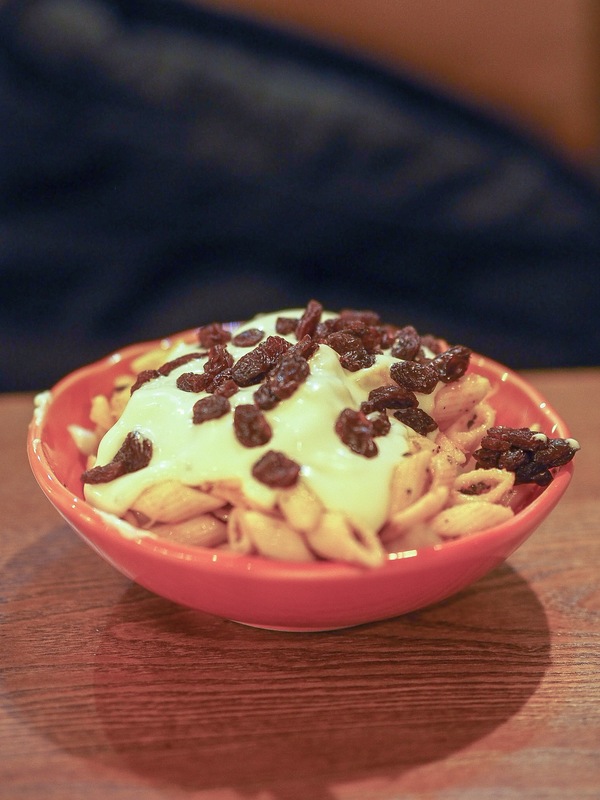 We had a great meal at the Harvester, and we were all so impressed with the new Harvester Favourites menu!